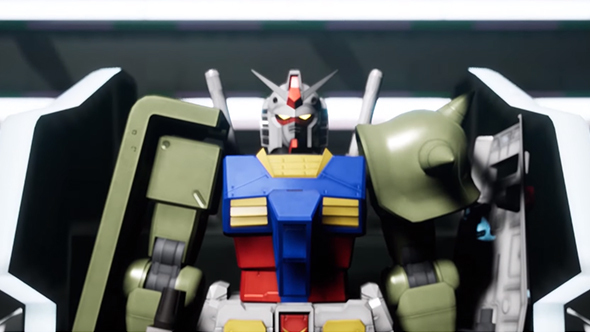 If you’re the kind of Gundam fan who frets over weathering techniques and panel lining, the new in-depth trailer for New Gundam Breaker is going to be right up your street. Characters from the game – mainly drawn from the anime series Mobile Suit Zeta Gundam – explain what’s new in this entry, and even tease each about their gunpla modeling skills. New Gundam Breaker is the fourth game in the Gundam Breaker series, but it’s the first one that’ll be released outside of Japan, and the first to be made available on PC. It’s a strange marriage of the complex web of Gundam TV shows and movies with Bandai’s popular line of plastic model kits, or gunpla. Here are the PC games to look forward to in 2018. It launches in Japan June 21, with the international release to follow June 22. Gameplay is split between musou-style battle scenarios where you’ll take on enemy mobile suits and salvage armor, and a detailed customization layer. That’s where you’ll be able to mix and match mobile suit components from the game’s roster of more than 200 mobile suits. Scenarios are set in some standard Gundam environments, such as deserts and orbital space, and some funnier ones, like living room floors and the aisles of hobby shop stockrooms – straddling the gap between the anime and the hobby. The new trailer, below, features voice actors from Zeta Gundam playing their characters Kamille Bidan and Fa Yuiry. It’s more than 12 minutes long and is packed with little in-jokes, including a side-trip into visual novel territory at one point. More importantly though, it provides a ton of detail about what to expect in this edition of Gundam Breaker. A few highlights: battles are going to focus on team fighting, you’ll be able to pick up and use armor components in the field, and Bandai Namco have plans to add more mobile suits over the life of the game. Previous entries in the Gundam Breaker series have been criticized for offering too few new additions to the roster, but this may not be a major concern for PC players, since this is our first crack at a Gundam Breaker game. It’ll be available on Steam.